Whistler Village, British Columbia, Canada was recognized as Canada's first resort municipality. The resort community is located at the foot of the Whistler and Blackcomb Mountains. The looming snow-capped mountains dominate the skyline. In the backcountry, surrounding Whistler Village, are the alpine lakes, rambling rivers, flowering meadows, and wilderness forests. All play a big part in creating some of the most prime conditions for year round adventures and activities. Attractions, adventures and activities most enjoyed in and around Whistler, BC and the surrounding areas includes mountain biking (considered as some of the worlds best mountain biking), hiking, river rafting, golfing, sightseeing, birdwatching (birding), horseback riding, off roading, fishing, zip lining, flightseeing, rock climbing, downhill skiing, snowboarding, xc skiing, snowmobiling, snowshoeing, cat skiing, dog sledding and the Peak to Peak Gondola. A few of the more popular activity and sightseeing destinations located in and around Whistler, British Columbia includes the Whistler Mountain Bike Park, Brandywine Falls Provincial Park, Rainbow Park, Garibaldi Provincial Park, Lost Lake, Whistler Valley Trail, Callaghan Lake Provincial Park, Black Tusk Trail, Cheakamus Lake Trail, Alexander Falls, Whistler Sliding Centre and the Whistler Train Wreck Trail. What are the Accommodations, Services and Amenities in Whistler, BC? The core of Whistler Village is mainly a pedestrian only area following cobblestone pathways connecting you to places to stay, services and amenities important to travelers. 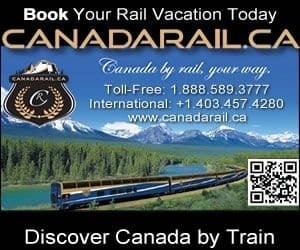 The services and amenities include accommodations (resorts, hotels, motels, inns, bed and breakfasts (B&Bs), vacation homes, cottages, cabins, lodges, hostels), spas, campgrounds, tours, guides, outfitters, attractions, rental shops, nightclubs, restaurants, laundromat, coffee shops, wineries, breweries,grocery stores, pubs, liquor store, banks, gas station, gift stores, and internet services. There is a good selection of sightseeing attractions, historical sites and cultural events in and around Whistler British Columbia. Some of the top museums, art and culture to visit include the Whistler Museum, Squamish Lil'wat Cultural Centre, Whistler Explorer, and the Audain Art Museum. eh! Plan to Visit Whistler Village today.